This is a Japanese IGA ware (Iga-yaki) pair beer cups. 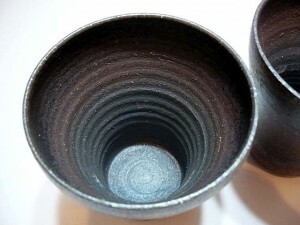 Iga ware is pottery and stoneware made in Iga area in [W:Mie Prefecture]. Iga ware is one of the “Nihon Rokkoyou” (The Six Japanese Traditional Kilns), which are the representative kilns that have lasted since the middle ages. 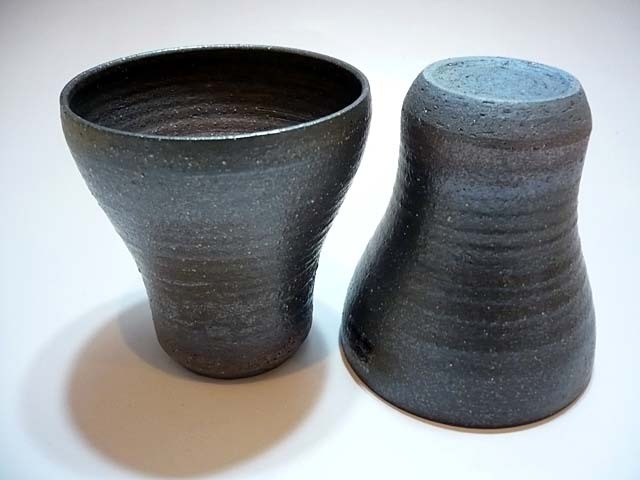 The history of Iga ware started 1,300 years ago, when the kiln was built to make a sacred jar for Ise Grand Shrine. Iga ware is famous for its burn. Because fire designs the ware, each ware has different expression. The shape of Iga ware is also organic. The texture is very earthy, you can feel tiny gravel. 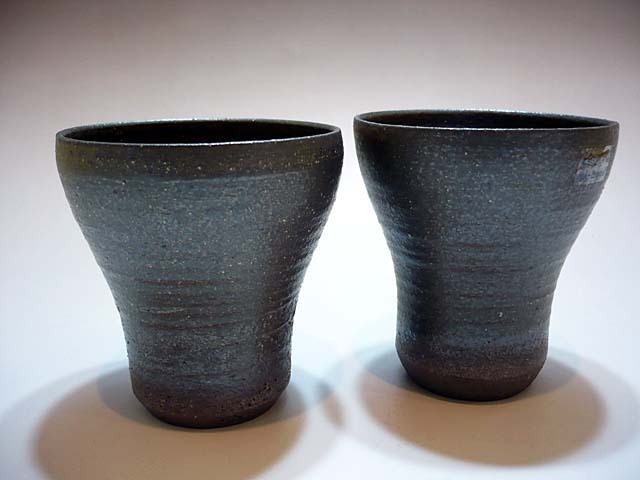 Iga ware is the art of nature, and traditionally, loved by the people of refined taste.